Its Super Bowl week and television talk shows are focused on drumming up hype for the upcoming game. 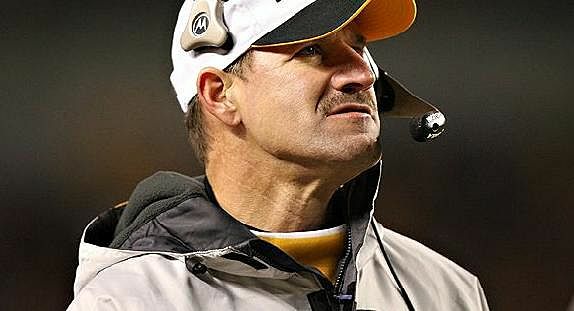 This morning I listened to an interview with Bill Cowher, former head coach of the Pittsburgh Steelers. The interviewer asked Cowher what game he most looks back on and regrets. Pro athletes and coaches are funny in how they respond to this type of question. They will talk about how important it is to let go of your failures. Yet, it takes every player and coach a fraction of a second to answer the question like the one posed to Bill Cowher. Coaches remember every detail of a poor decision. So you know they have never let go of failure. Bill Cowher was no different. He recalled an AFC Championship game in Pittsburgh against the San Diego Chargers. The Steelers were favored to win. A win would propel them into the Super Bowl. On a fourth down and two yards to go, he had his quarterback throw a pass. The pass was deflected incomplete, and the Steelers lost the game. It was a surprising call since running the football was the Steelers strength that year. And, their quarterback was not that good. Everyone in the stadium was stunned by Cowher’s decision on that critical call. A blown call in a football game may not seem like the most critical of life and death decisions. Yet, we see how people tear into coaches and pro players for their mistakes. The criticism can get quite brutal, especially on their family members. It was shortly after listening to that interview when I sat down to read Psalm 71. The second line spoke to my soul, especially, “get me out of this mess.” As I look back on my poor decisions, it is incredible how often they get repeated. My gift is at getting into messes. God’s gift is getting me out of them. I find myself looking back on life and wishing I had done somethings differently. Sometimes those decisions only irritated someone. Other times, the mess I created caused pain or changed the path of my life. God never gives me a cave to hide in, nor punishes my enemies. What God does do is speak the words I need to hear. Mostly, I am loved despite all my messes. Those words put all my mistakes in perspective and grant me new life. What is the decision you most regret? How able are you to undo this decision? How would you respond if told the impact of your decision was less than you realized? What would you need to hear to get over the regret?